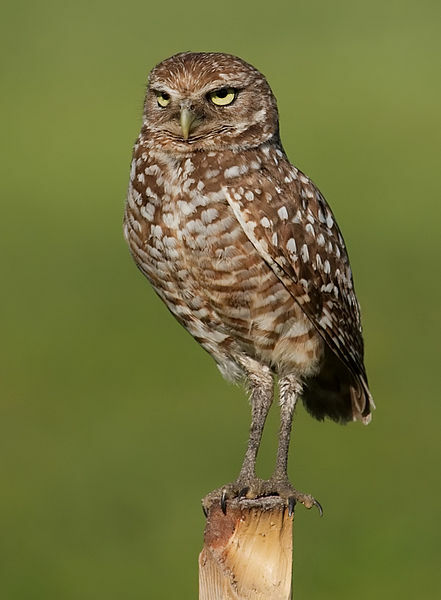 In January 2013, IVCF established the Burrowing Owl Stewardship and Education Fund, in conjunction with 8minutenergy Renewables and Sierra Club. This fund is designed to give financial support to initiatives that protect the burrowing owl population in Imperial Valley, where more than half of North America's burrowing owls live. The fund will be advised by a committee of science, conservation, and agricultural experts to make recommendations of where funding should go. The activities that contribute to burrowing owl preservation are broad, and can include acquiring land for habitat, constructing or restoring burrows, educating farmers and construction crews on how to avoid burrowing owls without negatively affecting their own practices, and other activities. On February 6, 2013, the Imperial Irrigation District hosted the Imperial Valley Burrowing Owl Workshop at William R. Condit Auditorium. The forum discussed Burrowing Owl Conservation, including updates on recent conservation and monitoring,discussions about impacts related to renewable energy development, and mitigation measures. Relevant Science for Burrowing Owl Conservation, by Dr. Dan Rosenberg. Imperial Irrigation District's Burrowing Owl Monitoring & Conservation, by Jessica Lovecchio, IID. Perspective from Wildlife Agencies, by Karen Riesz, CDFW, and Magdalena Rodriguez, CDFW. Burrowing Owl Stewardship and Education Fund, by Sarah Friedman. Renewable Energy Trends in Imperial Valley, by Andy Horne, Imperial County. Agriculture Landowner Perspective, by Al Kalin. Burrowing Owl Conservation - A Local Biologist's Perspective, by Marie Barrett, Barrett Biological Surveys. Would an Imperial Valley Conservation Plan for Burrowing Owls be Helpful? Panel Discussion, by Graham Chisholm. We would like to thank 8minutenergy and AES Solar for their early contributions, which were vital in starting the fund. Photos courtesy of Aaron Popejoy of Conveyor Group.